Today I received a support call to change the time sheet setting to 10 minute intervals. While I recalled this can be done, it has been forever since someone asked. Using the drop down menu Options>System Settings>Data Entry tab, tick the box at the top to Save Time in Hrs and Mins. This will allow a timekeeper to enter in ten minute intervals, but still allow other timekeepers to use the .1 intervals of in 6 minute increments. Also note that the Round Time entry will change to 0:06 automatically as you tick this box. 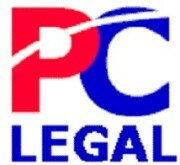 Another Power Tip by PCLegal, because knowledge is power! This entry was posted in Activities, LexisNexis PCLaw®, PCLaw® and tagged PCLaw®. Bookmark the permalink.